As the first of November nears every year, I begin to feel increasingly anxious. This feeling surfaces about halfway through October, when I first realize that I have absolutely no idea what I’m going to write fifty thousand words about starting on the first of November. That’s right. 50,000 words. In 30 days. Yet that burgeoning anxiety doesn’t make me think any faster. Instead, I put it off for a few more days, thinking I still have two weeks left. That’s a lot of days before I have to write the first word. Then another week goes by. And now, it’s T minus 1 day, and I’m pretty much unprepared. I’m not horribly concerned about ideas at this point. Once I sit down, the words will flow. What concerns me more is how busy my month of November already is looking. I have a trip planned, copy editor duties, a short story to edit, critique duties… I could probably come up with some more things, but I’ll stop there. Those are the most time-consuming ones. So this November looks to be the worst yet in terms of outside-NaNo responsibilities. That said, there are some steps I’ve take to prepare. This is probably the most important thing for me. I am a goal-oriented person. If I have a list or a word count goal to make every day, then I am much more motivated to write. In fact, often when I have a goal, I feel like I want to beat it if I can. I try to never write under the goal, but always at least a few words over. If it’s a good writing day, I’ll power through until I run out of time, rather than quitting when I reach my goal. I strongly believe that it is this daily goal-making which has given me success in 2/2 previous NaNos. Last year, I wrote 93K in 30 days, and the year before was close to 75K. This year, my goal is a the true 50K, due to other responsibilities. So with roughly 21 writing days for the month ahead, I have scheduled a goal of 2500 words per writing day. This is do-able, and yet ambitious. I’ll have to be on-task and motivated (and yes, I realize I have a 2500 word excess scheduled). As much as possible, I have tried to clear my schedule for the entire month. Sometimes this simply isn’t possible, like due dates for copy editing and weekly critiques, but I’ve tried to avoid scheduling commitments in November. Thanksgiving always throws a kink into my plans, as we have friends over and I have to play hostess, but knowing what days I can’t write, or which days will be limited in writing time allows me to plan accordingly. This year, I’m going to try and write even while I’m on the road, yet I haven’t scheduled those days as “writing days.” Anything I accomplish will be above goal. Yes, this is a bit belated. But I’ve waited long enough to feel the panic. At this point, I need to a few minor things for my story: a) characters; b) plot; c) setting. a) Personally, I can’t start a story unless I have a clear character in mind. Whether this is the challenge the character faces and how he/she reacts to the challenge as a person, or a complete character sheet ranging from description to favorite food to favorite toy as a toddler, I need to be able to sit down and write about this character as if he/she is my best friend. Because at the end of thirty days, chances are, I won’t like him or her that much. We’d better start out in love, otherwise we won’t last throughout that long. b) I need at least an overarching idea of where this story will start and where it will end. Now this may change as I write the story, but I need to have a feel for what kind of opening scene I need, what my setup is, what my middle conflicts will be, and the theme I’m addressing. c) Setting is a big thing for me. The setting really becomes a second character in the story. I’ve heard it said that a story’s setting should be integral to the story itself. If you remove the story from its setting, it should change the story significantly. I want my setting to be intertwined into my novel itself, so setting is vital for me to have a handle on. If I haven’t personally been to the location, I need to do a lot of research. 3. Buy writing programs (and familiarize myself with them). Evernote. This is a great program that I use for writing all the time. I have taken to writing blogs in it, book reviews, keeping track of research questions, etc. Since it syncs across devices, I have it installed on my MacBook, iPad, and iPhone, and can jot down a question or an idea in a notebook specifically created for NaNo. I don’t subscribe, I merely use the free version, and it’s a Godsend. Aeon Timeline. I played around with this program last year a bit. It’s wonderful for keeping track of more complicated plots and multiple POVs. I never purchased the full version, but I’m seriously contemplating it. It also syncs with Scrivener, so you can keep track of what scenes happen when and with which characters, etc. It can be a great tool, and I’m considering investing in the full version this year ($40 US). This is a program, however, that could be a big time-waster if you’re not familiar with it already, and may be best saved for revising in December. I usually plan meals for my husband and I on a week-by-week basis. I’d like to be able to plan every two weeks this month (only twice), and be able to stock up on all but fresh produce every other week. This is going to require a bit of planning on my part, and will be interrupted by a trip we have planned. That said, reducing the amount of time I need to spend in the kitchen, either by preparing meals ahead of time and freezing them, or by choosing quick meals to prepare will maximize my time at the computer. This year, I’m going to try something new. When I reach the quarter, half, three-quarter, and full goals, I plan on giving myself a reward. This may be something small, like a new iPad case, or a new writing pen, or even a book I’ve been wanting to buy. I want to keep myself motivated, and have fun doing it. So this year, when I reach that 12,500th word, the 25,000th word, the 37,500th word, and the 50,000th word, I’m going to be even more excited because I get something special. Writing is all about having fun, and while writing can be the reward in and of itself, sometimes we all need a pick-me-up, especially when we near the end of month. So now I just need to figure out what my rewards are going to be! So are you participating in NaNo this year? How do you plan on motivating yourself through the month? Feel free to comment and share your goals and/or motivators. Charles Dickens had a mistress?!? It’s odd though, every time I research him as a writer, I lose a bit of my respect for him. In this case, a lot of respect. Charles Dickens wrote about everything classically Victorian. Orphans, sweatshops, debtor’s prisons, boarding school, old widows, unrequited love, war… pretty much anything that struck the fancy of the people of that time. He was often serially published, where he would publish a chapter a week in the newspaper. He had a huge following, and plays were even created based on unfinished works of his. He was a god (of sorts). 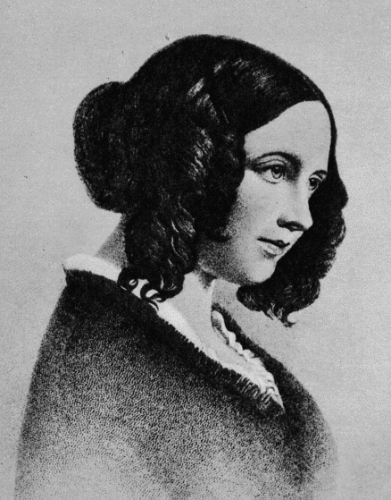 Catherine Dickens, Charles Dickens’ wife of 22 years and mother of his 10 acknowledged children. He wrote of domestic bliss, and was lauded as a wholesome man. So imagine my surprise when doing research for a short story I was writing, to find out that Charles Dickens had a secret mistress… Wait, what? Her name was Nelly Ternan, and she was a born-and-raised actress. If you weren’t aware, actors and actresses were not thought of as well as we think of actors today. In fact, acting was a step above prostitution, with many of the females being solicited as though they were prostitutes by their audience members and fans. However, that was only the first surprise. Let’s face it, Dickens was famous. He did a lot of travel, probably had a lot of women fawning over him due to his fame…he was a celebrity. There are always people who flock to celebrities and are more than willing to be the homewrecker. But what really surprised me was how Dickens dealt with said mistress. He denied her (she denied him as well, keeping that secret unto her death), and actually put aside his faithful wife of 22 years and mother to his 10 children. 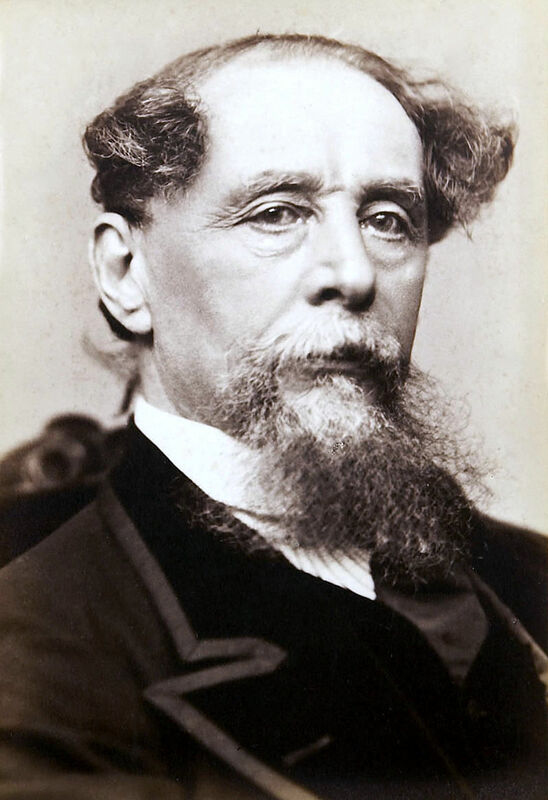 To the public, Dickens announced that he and his wife separated amicably, although he maintained custody of all but one child, and Catherine Dickens was all but stripped of her title as wife and mother. An amicable separation was far from the truth. Dickens did not forbid, but did not encourage his children to see their mother ever again. Instead, he pulled Georgina Hogarth, Catherine Dickens’ sister, to his side of the marriage, separating sister from sister, and having Georgina run the Dickens’ household post separation. It seems he became a bit of a tyrant with this separation, having a falling out with his publishers of humorous works when they refused to print his separation statement. I suppose that, given Nelly’s profession and how acting was thought of at that time, it seems more excusable for Dickens to deny his mistress. However, given that he left his wife due to this affair, it also seems especially low. Although I’ve lost respect for the man, Charles Dickens, I still enjoy some of his novels. However, now that I know more about his past, I’ll be reading his novels with an eye for his personal demons. What about you? Do you enjoy learning about an author or prefer to leave them a mystery and just enjoy their books? Why are new things so exciting? There’s always that sense of joy, of expectation, of unadulterated hope. Since this is my first blog post here, I figure I’ll lay out what I plan to accomplish with this blog. I’d love to connect with other people, readers, writers, and/or people with similar interests. I am a person of eclectic interests. While my first literary love is literary fiction, classics come in a close second. But then I get a bit crazy. A fantasy every now and then, an historical fiction (or two or three), a mystery, a horse racing book, a Christian fiction, non-fiction about someone I admire… Being in two book clubs has helped me expand my horizons further, and helped me to be more critical of what I read (not sure I needed much help with that, but…it does help in writing my own novels). 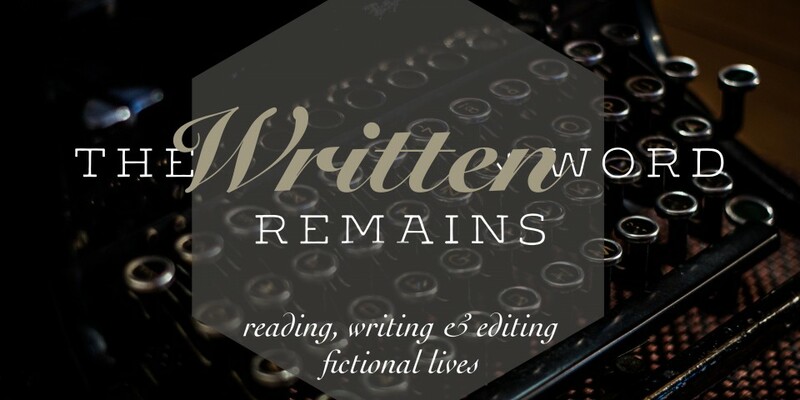 I plan on using this blog to chronicle my writing journey, share some (hopefully) interesting tidbits of information I find while researching subjects in my novels, posting writing quotes and/or quotes by authors, post book reviews, etc. Anything pertaining to writing and reading is fair game. So I hope you enjoy my blog posts, and please, leave a note to let me know you stopped by. I love connecting with readers!